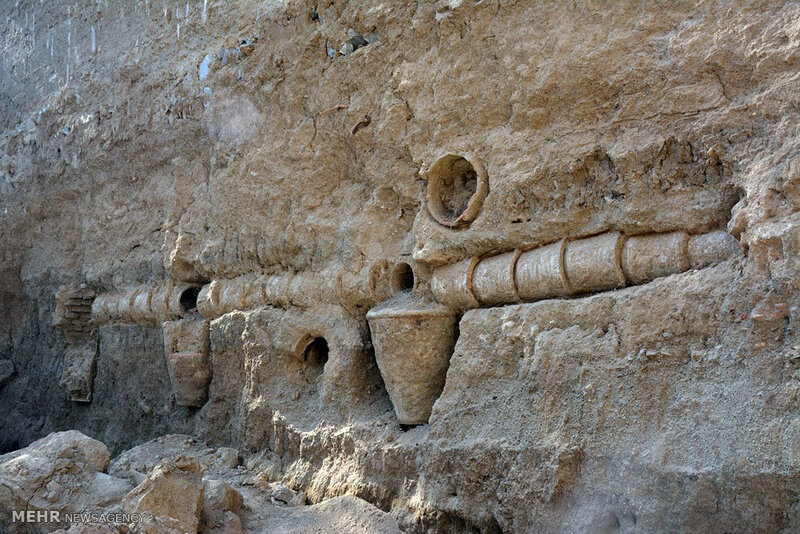 An ancient aqueduct system, which has been part of a historical castle, has been uncovered in Borujerd in Lorestan Province during construction work. 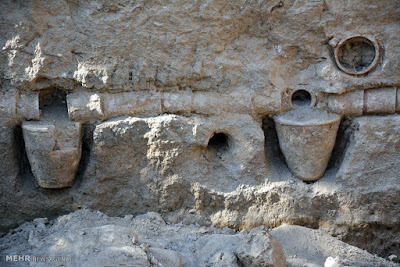 An official with Lorestan Provincial Cultural Heritage, Handicrafts and Tourism Organization has said that the ancient water transfer installations were discovered during the excavations. Hojjat Yar-Mohammadi further said that pottery crocks were used in this system to clean up and purify water. 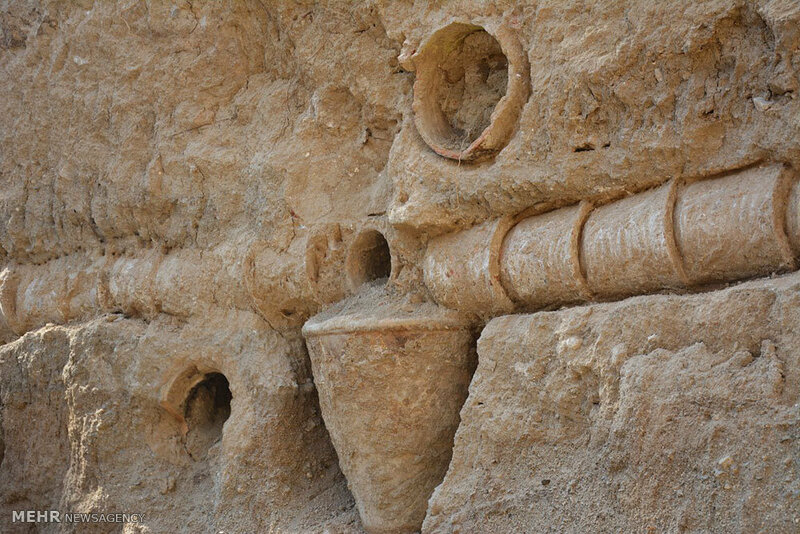 Yar-Mohammadi said that the discovered aqueduct system which includes a smart water distribution system used to be part of a historic castle. 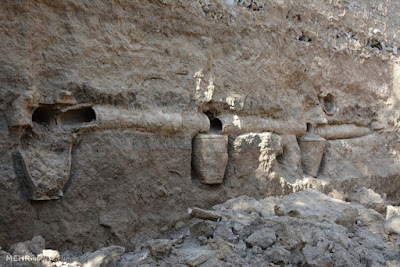 He further said that the discovered items have been documented, adding that a decision has yet to be made as to whether the place should be kept intact or the historical items should be taken to another place for protection. Nothing can be said about the historic era of the discovered system, the official said, adding that the system is now being studied and protected by the experts of the cultural heritage organization and the special unit in charge of protecting cultural heritage. 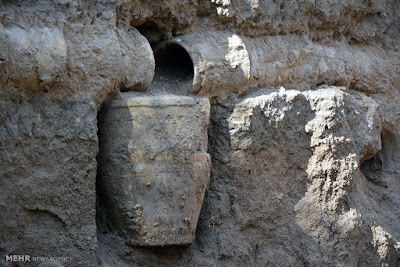 In the past, Borujerd had two layers of protection: the first one which included as many as 57 towers surrounded the entire town; the other one which had been built inside this area was around 280 hectares in area and was designed to protect the government castle. The government’s castle which was like a big garden inside the town had a well-designed water system. 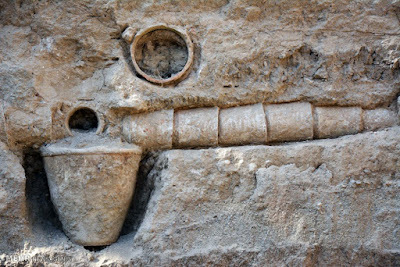 Clay pipes – called Tanpusheh in Farsi – were used in this system to transfer water. Big pottery vessels were applied for distributing water and removing mud from water. This could help minimize the risk of blockage in the flow of water. What stands out about this old system is its optimal use of water resources.